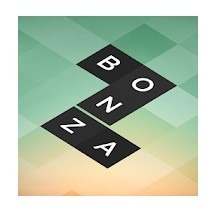 Bonza Word Puzzle is a very simplistic yet fantastic cross word game. This game sets new standards for puzzle lovers. Its interface is simple. Bonza Word Puzzle offers a unique and challenging word-solving experience. It is based on a very simple idea. This idea has been transformed into a wonderfully looking game. The game-play of Bonza Word Puzzle is very addictive. You can simply play this game with one hand. Drag boxes and combine the words with ease. If you love word-puzzle games, then Bonza Word Puzzle is the perfect game for you. With its simple and unique concept, its a truly wonderful game. There is a great rewarding system included in the game. Search for Bonza Word Puzzle and install it. Bonza Word Puzzle also includes a fantastic mode where you can form puzzles of your own. You can then invite your friends to solve these puzzles.